DeM Banter: Whew…came by this through a strange web… working on notes for a class this AM–notes that were passed via Andy Christiansen…from a class taught by John Woodall….who mentioned the concept of “Choosing to Cheat.” A quick Google search finds an article on Stanley’s message by John Maxwell…hummm…. it’s all connected. So do you buy it? 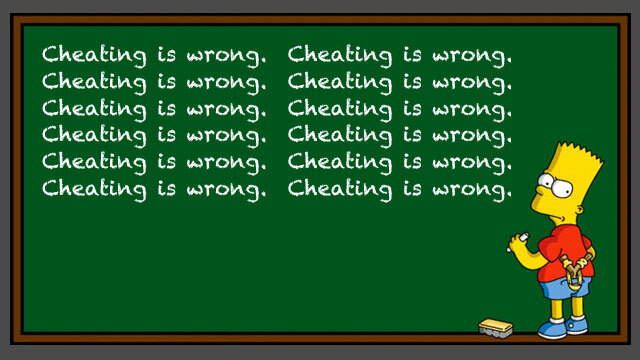 Do we all choose to cheat…and if not… should we? Rubber bands are made to stretch. They’re flexible to a point, but expand them too far and SNAP! They break. There’s a limit to their elasticity. Many times our lives feel like rubber bands. We’re pulled in different directions by two primary commitments: work and family. As we stretch ourselves to meet expectations on each side, the tension mounts. Try as we might to give our attention and energy generously to both, we end up falling short. There never seems to be enough time in the day to fully satisfy the relationships with our loved ones and the demands of our jobs. When stretched to the breaking point, what’s the solution? Choose to cheat. That’s the seemingly odd advice from Andy Stanley, pastor of North Point Community Church in Alpharetta, GA. According to Stanley, we’ll never have enough time to attain our ideal career productivity, relationship to our spouse and kids, physical fitness, service to the community, financial goals, and devotion to hobbies. Regardless of our discipline in managing time and controlling our schedules, something or somebody is going to feel cheated. It’s unavoidable. The issue isn’t whether to cheat, but choosing where to cheat and how to go about it. Regrettably, many of us choose to cheat our families. Although we do so for a variety of reasons, Stanley points out one of the most notable: work has measureable rewards. Whether it’s an income level or a position that we seek, there’s a concrete goal at the office. At home, the rewards of family relationships are less distinct. Family life is more about being than doing, and in a culture driven by achievement and material success, we can easily lose perspective of the intangible, but incalculable benefits of loving relationships. You may justify cheating time spent at home because you feel the duty of provision. After all, you need to pay the mortgage, fund tuition, etc. Take a second to think about the big picture, though. Will owning your dream house really matter if you’ve sacrificed your marriage to pay for it? Will sending your kids to the finest private school outweigh the emotional estrangement that results from neglecting to spend time with them? As Andy Stanley advises, “In the marketplace you’re expendable. In the home, you play a unique role no one else can fill.” As a father or mother, sister or son, the support you bring to your family is irreplaceable. Someone else can be hired to take your place at the office. No one can fill your shoes at home. Stanley is quick to stress that cheating on the job doesn’t mean cutting corners or doing shoddy work. Rather, cheating means “reallocating your limited time assets according to predetermined priorities.” He outlines three steps toward cheating at work rather than at home. Don’t wait for the opportune moment or hold out hope that your schedule will slow down. Nothing will change if your commitment is conditional upon a more favorable pace at the office. Resolve to make the sacrifices at work to give a greater piece of yourself to the ones you love the most. When he set out to conquer the Aztec empire, the Spanish explorer Hernán Cortés burned his ships to eliminate the option of retreat. In a like manner, be extreme about cutting off the avenues by which work intrudes on your family relationships. You may want to institute specific non-negotiables in your work habits. Perhaps you commit to leaving the office no later than 6:00 pm, or maybe you choose never to check emails on Saturday or Sunday. Don’t jeopardize your employment by suddenly cutting our early or turning down assignments. Ask for permission to adopt a more family-friendly schedule. When doing so, be armed with creative options and alternatives. Instead of issuing an ultimatum, seek a gradual change. The best course of action may be to initiate a trial period for your new work habits. This will help to alleviate any concerns your boss may have. Chances are that performance, not number of hours, is what your employer prizes most. A trial run allows you to prove that you can handle your responsibilities in the new arrangement. In Choosing to Cheat, Andy Stanley gives much-needed advice on elevating the people we love above the profession we do. Leaders would be wise to heed his advice on how to cheat selectively. Life demands tradeoffs, and I think we’d all agree that in the end we want to be surrounded by loved ones instead of loneliness.